9781250108944 | St Martins Pr, April 25, 2017, cover price $27.99 | About this edition: **One of the Brooklyn Rail's Best Books of 2017**"Nicorvo is a bracingly original writer and a joy to read. 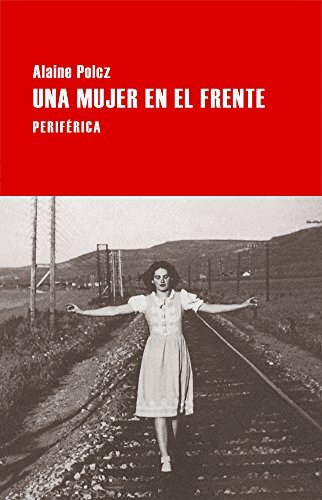 9788416291120 | Editorial Periferica, March 1, 2017, cover price $20.95 | About this edition: A bright but naïve young woman marries an egotistical man of letters. 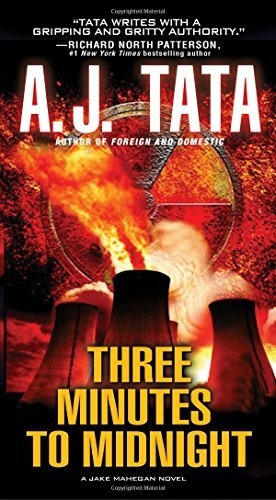 9781496706256 | Kensington Pub Corp, April 26, 2016, cover price $25.00 | About this edition: "Tata writes with a gripping and gritty authority. 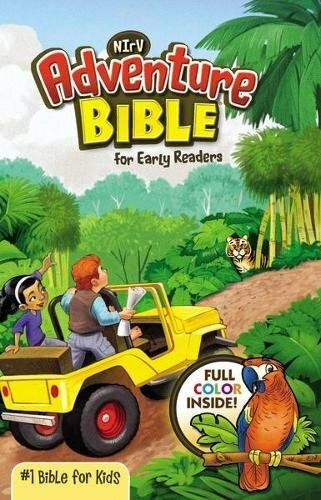 9780786035427 | Pinnacle Books, January 31, 2017, cover price $9.99 | About this edition: “ABSOLUTELY FANTASTIC . 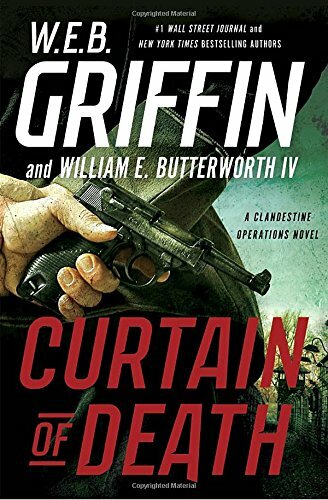 9781472222756 | Headline Book Pub Ltd, May 31, 2016, cover price $27.99 | About this edition: Paul Fraser Collard's Jack Lark series continues with The Last Legionnaire, which sees Jack marching into the biggest battle Europe has ever known. 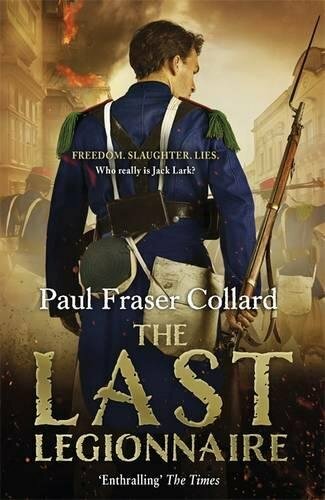 9781472237699 | Headline Book Pub Ltd, January 31, 2017, cover price $13.99 | About this edition: Paul Fraser Collard's Jack Lark series continues with The Last Legionnaire, which sees Jack marching into the biggest battle Europe has ever known. 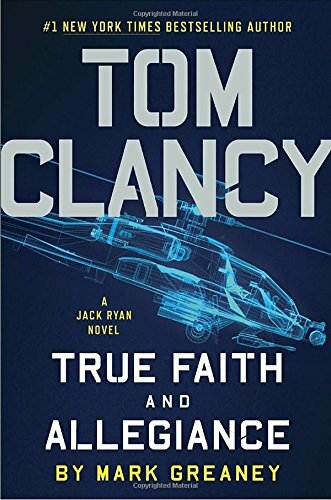 9781472222718 | Headline Book Pub Ltd, May 19, 2015, cover price $32.95 | About this edition: Jack Lark's past is discovered by the Devil—Ballard, the army's intelligence officer—who forces Jack to become his spy-hunter in Persia. 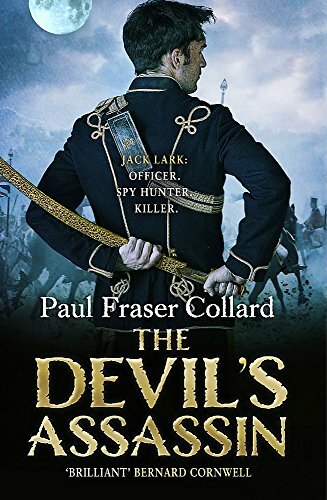 9781472236753 | Headline Book Pub Ltd, January 31, 2017, cover price $13.99 | About this edition: Jack Lark is The Devil's Assassin who stalks the streets of Bombay in this exhilarating and dangerous adventure by Paul Fraser Collard. 9781910619674 | Classic Comic Store Ltd, January 19, 2016, cover price $15.95 | also contains The War of the Worlds, The War of the Worlds, The War of the Worlds, The War of the Worlds, War of the Worlds, War of the Worlds, War of the Worlds, War of the Worlds | About this edition: Toward the end of the nineteenth century, several newspapers in England carried a small account of the discovery of a mass of flaming gas, chiefly hydrogen, originating on the planet Mars and moving with enormous speed toward the Earth. 9781606600795 | Dover Pubns, September 16, 2015, cover price $30.00 | About this edition: For the first time since their original publication in Pearson's Magazine, Warwick Goble's illustrations for The War of the Worlds are available in this exquisite hardcover edition. 9781454912194 | Sterling Pub Co Inc, September 2, 2014, cover price $9.95 | About this edition: What would happen if Martians landed on Earth—and none of our weapons could stop them? 9781616407865 | Reprint edition (Cosimo Inc, December 31, 2012), cover price $17.99 | also contains The War of the Worlds, The War of the Worlds, The War of the Worlds, The War of the Worlds, War of the Worlds, War of the Worlds, War of the Worlds, War of the Worlds | About this edition: This classic tale of an alien invasion serves as a catalyst for a whole range of media adaptations in radio, film, and literature. 9781599059242 | Reprint edition (Saddleback Pub, December 1, 2009), cover price $20.95 | About this edition: Do UFO's really exist? 9781530341801 | Createspace Independent Pub, March 3, 2016, cover price $7.48 | also contains The War of the Worlds, The War of the Worlds, The War of the Worlds, The War of the Worlds, War of the Worlds, War of the Worlds, War of the Worlds, War of the Worlds | About this edition: The War of the Worlds is a science fiction novel by English author H.
9781523788804 | Createspace Independent Pub, January 31, 2016, cover price $17.95 | also contains The War of the Worlds, The War of the Worlds, The War of the Worlds, The War of the Worlds, War of the Worlds, War of the Worlds, War of the Worlds, War of the Worlds | About this edition: In 1898, H.
9781522844303 | Createspace Independent Pub, December 20, 2015, cover price $10.99 | also contains The War of the Worlds, The War of the Worlds, The War of the Worlds, The War of the Worlds, War of the Worlds, War of the Worlds, War of the Worlds, War of the Worlds | About this edition: “No one would have believed in the last years of the nineteenth century that this world was being watched keenly and closely by intelligences greater than man’s…” So begins H.
9781522851011 | Createspace Independent Pub, December 20, 2015, cover price $10.99 | also contains The War of the Worlds, The War of the Worlds, The War of the Worlds, The War of the Worlds, War of the Worlds, War of the Worlds, War of the Worlds, War of the Worlds | About this edition: “No one would have believed in the last years of the nineteenth century that this world was being watched keenly and closely by intelligences greater than man’s…” So begins H.
9781519737830 | Createspace Independent Pub, December 9, 2015, cover price $9.99 | also contains The War of the Worlds, The War of the Worlds, The War of the Worlds, The War of the Worlds, War of the Worlds, War of the Worlds, War of the Worlds, War of the Worlds | About this edition: The War of the Worlds describes the fictional 1895 invasion of Earth by aliens from Mars who use laser-like Heat-Rays, chemical weapons, and mechanical three-legged ''fighting machines'' that could potentially be viewed as precursors to the tank. 9780753124703, titled "The War of the Worlds: Library Edition" | Unabridged edition (Isis Audio, December 30, 2005), cover price $64.95 | also contains The War of the Worlds, The War of the Worlds, The War of the Worlds, The War of the Worlds, War of the Worlds, War of the Worlds, War of the Worlds, War of the Worlds | About this edition: The night after a shooting star is seen streaking through the sky from Mars, a cylinder is discovered on Horsell Common in London. 9780753134443 | Unabridged edition (Isis Audio, December 30, 2005), cover price $59.95 | also contains The War of the Worlds, The War of the Worlds, The War of the Worlds, The War of the Worlds, War of the Worlds, War of the Worlds, War of the Worlds, War of the Worlds | About this edition: The night after a shooting star is seen streaking through the sky from Mars, a cylinder is discovered on Horsell Common in London. 9781101947371 | Alfred a Knopf Inc, January 24, 2017, cover price $25.95 | About this edition: âTransports readers into a world few Americans knowâ âWashington Post âPromises to be one of the most essential books of 2017â âEsquireA timely new novel of stunning humanity and tension: a contemporary love story set on the Turkish border with Syria. 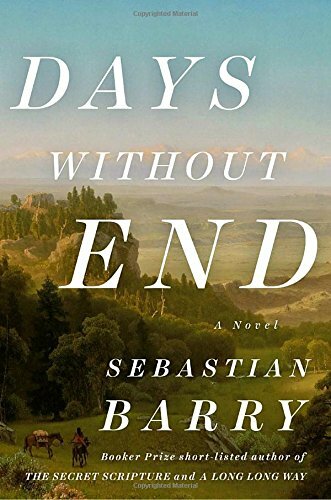 9780525427360 | Viking Pr, January 24, 2017, cover price $26.00 | About this edition: COSTA BOOK OF THE YEAR AWARD WINNERLONGLISTED FOR THE 2017 MAN BOOKER PRIZE"A true leftfield wonder: Days Without End is a violent, superbly lyrical western offering a sweeping vision of America in the making. 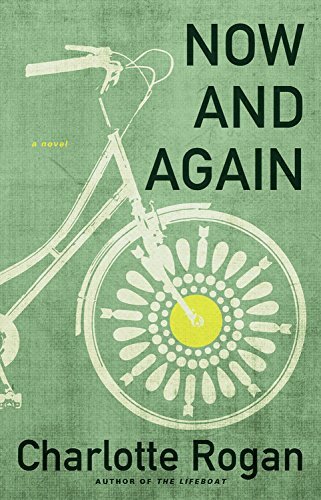 9781408876855 | New edition (Bloomsbury Pub Plc USA, January 24, 2017), cover price $17.00 | About this edition: Two young boys cross a river in the middle of the night. 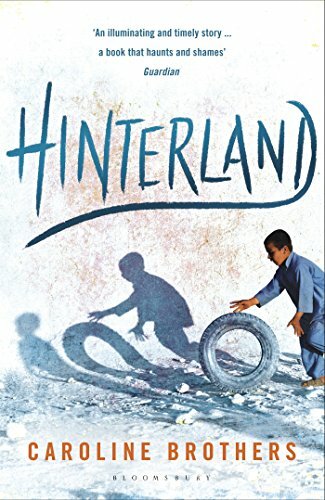 9781408830352 | Bloomsbury Pub Ltd, January 3, 2013, cover price $12.05 | About this edition: Two young boys cross a river in the middle of the night. 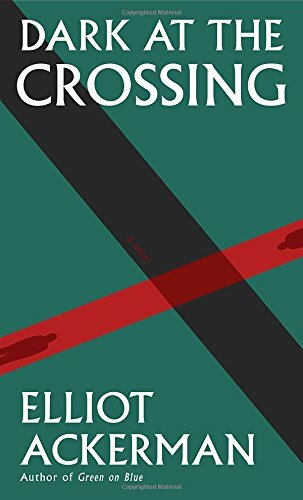 9781608196784 | Reprint edition (Bloomsbury Pub Plc USA, March 27, 2012), cover price $15.00 | About this edition: Two boys are crossing Europe. 9781910619674, titled "The War of the Worlds" | Classic Comic Store Ltd, January 19, 2016, cover price $15.95 | also contains The War of the Worlds, The War of the Worlds, The War of the Worlds, The War of the Worlds, The War of the Worlds, War of the Worlds, War of the Worlds, War of the Worlds | About this edition: Toward the end of the nineteenth century, several newspapers in England carried a small account of the discovery of a mass of flaming gas, chiefly hydrogen, originating on the planet Mars and moving with enormous speed toward the Earth. 9781616407865, titled "The War of the Worlds" | Reprint edition (Cosimo Inc, December 31, 2012), cover price $17.99 | also contains The War of the Worlds, The War of the Worlds, The War of the Worlds, The War of the Worlds, The War of the Worlds, War of the Worlds, War of the Worlds, War of the Worlds | About this edition: This classic tale of an alien invasion serves as a catalyst for a whole range of media adaptations in radio, film, and literature. 9781605120973, titled "The War of the Worlds" | Archeion Pr Llc, May 30, 2008, cover price $23.99 | also contains The War of the Worlds, The War of the Worlds, The War of the Worlds, The War of the Worlds, War of the Worlds, War of the Worlds, War of the Worlds | About this edition: The War of the Worlds, by H.
9781434466105, titled "The War of the Worlds" | Reprint edition (Wildside Pr, April 30, 2008), cover price $29.95 | also contains The War of the Worlds, The War of the Worlds, The War of the Worlds, The War of the Worlds, War of the Worlds, War of the Worlds, War of the Worlds | About this edition: The War of the Worlds (1898), by H.
9781530341801, titled "The War of the Worlds" | Createspace Independent Pub, March 3, 2016, cover price $7.48 | also contains The War of the Worlds, The War of the Worlds, The War of the Worlds, The War of the Worlds, The War of the Worlds, War of the Worlds, War of the Worlds, War of the Worlds | About this edition: The War of the Worlds is a science fiction novel by English author H.
9781523788804, titled "The War of the Worlds" | Createspace Independent Pub, January 31, 2016, cover price $17.95 | also contains The War of the Worlds, The War of the Worlds, The War of the Worlds, The War of the Worlds, The War of the Worlds, War of the Worlds, War of the Worlds, War of the Worlds | About this edition: In 1898, H.
9781522844303, titled "The War of the Worlds" | Createspace Independent Pub, December 20, 2015, cover price $10.99 | also contains The War of the Worlds, The War of the Worlds, The War of the Worlds, The War of the Worlds, The War of the Worlds, War of the Worlds, War of the Worlds, War of the Worlds | About this edition: “No one would have believed in the last years of the nineteenth century that this world was being watched keenly and closely by intelligences greater than man’s…” So begins H.
9781522851011, titled "The War of the Worlds" | Createspace Independent Pub, December 20, 2015, cover price $10.99 | also contains The War of the Worlds, The War of the Worlds, The War of the Worlds, The War of the Worlds, The War of the Worlds, War of the Worlds, War of the Worlds, War of the Worlds | About this edition: “No one would have believed in the last years of the nineteenth century that this world was being watched keenly and closely by intelligences greater than man’s…” So begins H.
9781519737830, titled "The War of the Worlds" | Createspace Independent Pub, December 9, 2015, cover price $9.99 | also contains The War of the Worlds, The War of the Worlds, The War of the Worlds, The War of the Worlds, The War of the Worlds, War of the Worlds, War of the Worlds, War of the Worlds | About this edition: The War of the Worlds describes the fictional 1895 invasion of Earth by aliens from Mars who use laser-like Heat-Rays, chemical weapons, and mechanical three-legged ''fighting machines'' that could potentially be viewed as precursors to the tank. 9781605149349 | Unabridged edition (Findaway World Llc, May 1, 2008), cover price $34.99 | also contains The War of the Worlds, The War of the Worlds, The War of the Worlds, The War of the Worlds, War of the Worlds, War of the Worlds, War of the Worlds | About this edition: Starring (in alphabetical order) Meagan Fay, Jerry Hardin, Gates McFadden, Leonard Nimoy, Dwight Schultz, Armin Shimerman, Brent Spiner, Tom Virtue, Wil Wheaton EXECUTIVE PRODUCER SUSAN ALBERT LOEWENBERG DIRECTED BY JOHN De LANCIE PRODUCED FOR RADIO BY RAYMOND GUARNA Join actors from televisions STAR TREK as they recreate this classic radio thriller. 9781605144207 | Unabridged edition (Findaway World Llc, May 1, 2008), cover price $29.99 | also contains The War of the Worlds, The War of the Worlds, The War of the Worlds, The War of the Worlds, War of the Worlds, War of the Worlds, War of the Worlds | About this edition: The War of the Worlds, by H.
9780753124703, titled "The War of the Worlds: Library Edition" | Unabridged edition (Isis Audio, December 30, 2005), cover price $64.95 | also contains The War of the Worlds, The War of the Worlds, The War of the Worlds, The War of the Worlds, The War of the Worlds, War of the Worlds, War of the Worlds, War of the Worlds | About this edition: The night after a shooting star is seen streaking through the sky from Mars, a cylinder is discovered on Horsell Common in London. 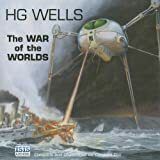 9780753134443, titled "The War of the Worlds" | Unabridged edition (Isis Audio, December 30, 2005), cover price $59.95 | also contains The War of the Worlds, The War of the Worlds, The War of the Worlds, The War of the Worlds, The War of the Worlds, War of the Worlds, War of the Worlds, War of the Worlds | About this edition: The night after a shooting star is seen streaking through the sky from Mars, a cylinder is discovered on Horsell Common in London. 9781607541646, titled "The War of the Worlds" | Reprint edition (Rosen Pub Group, January 1, 2009), cover price $30.25 | also contains The War of the Worlds, The War of the Worlds, The War of the Worlds, The War of the Worlds, War of the Worlds, War of the Worlds, War of the Worlds | About this edition: A retelling of the story of humans battling evil aliens to save Earth and its people from certain doom when the Martians land in England. 9780606139731, titled "The War of the Worlds" | Reissue edition (Demco Media, August 1, 1991), cover price $12.50 | also contains The War of the Worlds, The War of the Worlds, The War of the Worlds, The War of the Worlds, War of the Worlds, War of the Worlds | About this edition: An adaptation of H.
9781439541524, titled "The War of the Worlds" | Reprint edition (Paw Prints, August 11, 2008), cover price $13.99 | also contains The War of the Worlds, The War of the Worlds, The War of the Worlds, The War of the Worlds, War of the Worlds, War of the Worlds, War of the Worlds | About this edition: Famous for the mistaken panic that ensued from Orson Welles’s 1938 radio dramatization, The War of the Worlds remains one of the most influential of all science fiction works. 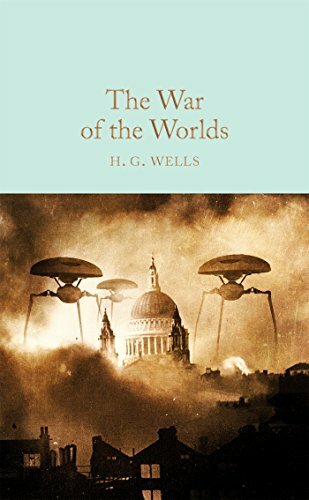 9781417793006, titled "The War of the Worlds" | Turtleback Books, May 17, 2005, cover price $14.75 | also contains The War of the Worlds, The War of the Worlds, The War of the Worlds, The War of the Worlds, War of the Worlds, War of the Worlds | About this edition: FOR USE IN SCHOOLS AND LIBRARIES ONLY. 9780613969949 | Turtleback Books, June 1, 1999, cover price $9.90 | also contains The War of the Worlds, The War of the Worlds, The War of the Worlds, The War of the Worlds, War of the Worlds, War of the Worlds | About this edition: As life on Mars becomes impossible, Martians and their terrifying machines invade the earth. 9781605120973 | Archeion Pr Llc, May 30, 2008, cover price $23.99 | also contains The War of the Worlds, The War of the Worlds, The War of the Worlds, War of the Worlds, War of the Worlds, War of the Worlds, War of the Worlds | About this edition: The War of the Worlds, by H.
9781434466105 | Reprint edition (Wildside Pr, April 30, 2008), cover price $29.95 | also contains The War of the Worlds, The War of the Worlds, The War of the Worlds, War of the Worlds, War of the Worlds, War of the Worlds, War of the Worlds | About this edition: The War of the Worlds (1898), by H.
9781605149349, titled "War of the Worlds" | Unabridged edition (Findaway World Llc, May 1, 2008), cover price $34.99 | also contains The War of the Worlds, The War of the Worlds, The War of the Worlds, War of the Worlds, War of the Worlds, War of the Worlds, War of the Worlds | About this edition: Starring (in alphabetical order) Meagan Fay, Jerry Hardin, Gates McFadden, Leonard Nimoy, Dwight Schultz, Armin Shimerman, Brent Spiner, Tom Virtue, Wil Wheaton EXECUTIVE PRODUCER SUSAN ALBERT LOEWENBERG DIRECTED BY JOHN De LANCIE PRODUCED FOR RADIO BY RAYMOND GUARNA Join actors from televisions STAR TREK as they recreate this classic radio thriller. 9781605144207, titled "War of the Worlds" | Unabridged edition (Findaway World Llc, May 1, 2008), cover price $29.99 | also contains The War of the Worlds, The War of the Worlds, The War of the Worlds, War of the Worlds, War of the Worlds, War of the Worlds, War of the Worlds | About this edition: The War of the Worlds, by H.
9781562549534 | Saddleback Pub, August 1, 2005, cover price $24.95 | About this edition: This series features classic tales retold with attractive color illustrations. 9781607541646 | Reprint edition (Rosen Pub Group, January 1, 2009), cover price $30.25 | also contains The War of the Worlds, The War of the Worlds, The War of the Worlds, War of the Worlds, War of the Worlds, War of the Worlds, War of the Worlds | About this edition: A retelling of the story of humans battling evil aliens to save Earth and its people from certain doom when the Martians land in England. 9780606139731 | Reissue edition (Demco Media, August 1, 1991), cover price $12.50 | also contains The War of the Worlds, The War of the Worlds, The War of the Worlds, War of the Worlds, War of the Worlds, War of the Worlds | About this edition: An adaptation of H.
9781439541524 | Reprint edition (Paw Prints, August 11, 2008), cover price $13.99 | also contains The War of the Worlds, The War of the Worlds, The War of the Worlds, War of the Worlds, War of the Worlds, War of the Worlds, War of the Worlds | About this edition: Famous for the mistaken panic that ensued from Orson Welles’s 1938 radio dramatization, The War of the Worlds remains one of the most influential of all science fiction works. 9781417793006 | Turtleback Books, May 17, 2005, cover price $14.75 | also contains The War of the Worlds, The War of the Worlds, The War of the Worlds, War of the Worlds, War of the Worlds, War of the Worlds | About this edition: FOR USE IN SCHOOLS AND LIBRARIES ONLY. 9780613969949, titled "War Of The Worlds" | Turtleback Books, June 1, 1999, cover price $9.90 | also contains The War of the Worlds, The War of the Worlds, The War of the Worlds, War of the Worlds, War of the Worlds, War of the Worlds | About this edition: As life on Mars becomes impossible, Martians and their terrifying machines invade the earth. 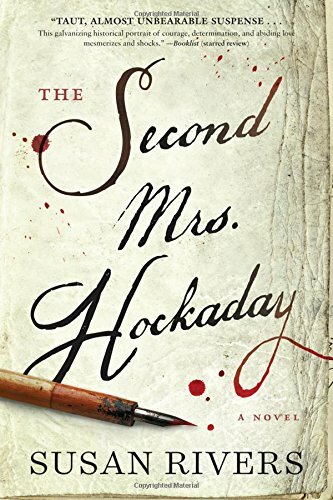 9781616205812 | Algonquin Books, January 10, 2017, cover price $25.95 | About this edition: âTAUT, ALMOST UNBEARABLE SUSPENSE . 9781410491848 | Large print edition (Thorndike Pr, August 24, 2016), cover price $33.99 | About this edition: A provocative novel about the fallout from a search for truth by the author of the national bestseller "The Lifeboat. 9780316380928 | Back Bay Books, January 3, 2017, cover price $15.99 | About this edition: A provocative novel about the fallout from a search for truth by the author of the national bestseller The Lifeboat. 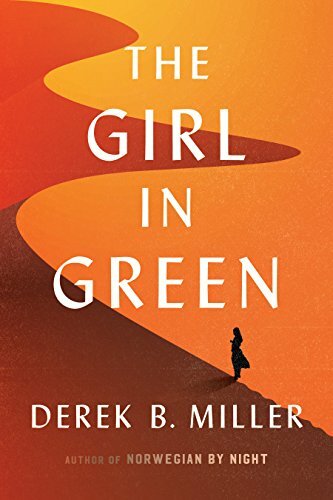 9781478908845 | Unabridged edition (Hachette Audio, April 5, 2016), cover price $30.00 | About this edition: A provocative novel about the fallout from a search for truth by the author of the national bestseller The Lifeboat. 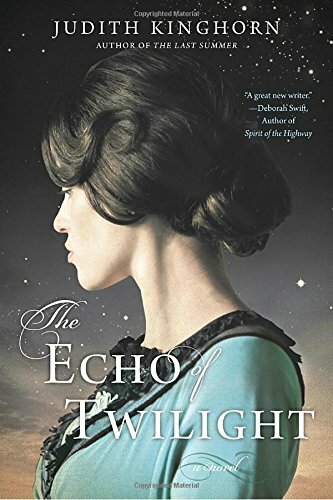 9780451472106 | Berkley Pub Group, January 3, 2017, cover price $16.00 | About this edition: "An enchanting, atmospheric work of historical fiction that is a rich blend of Downton Abbey and Jane Eyre. 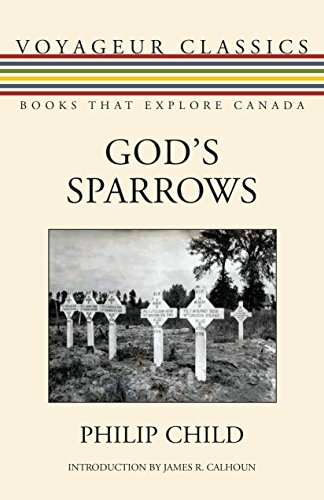 9781459736436 | Dundurn Pr Ltd, January 3, 2017, cover price $26.99 | About this edition: A new edition of Philip Child’s great Canadian novel of the First World War. 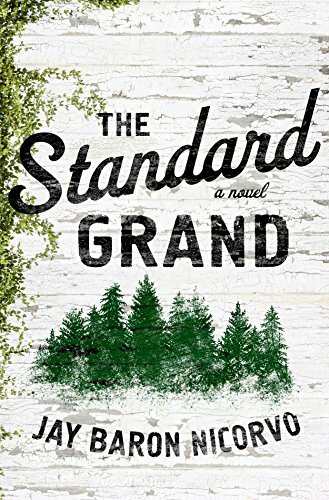 9780399176739 | Putnam Pub Group, December 27, 2016, cover price $29.00 | About this edition: From #1 New York Times-bestselling author W.
9780544706255 | Houghton Mifflin, January 3, 2017, cover price $26.00 | About this edition: From the author of Norwegian by Night, a novel about two men on a misbegotten quest to save the girl they failed to save decades before 1991. 9781501105746 | Atria Books, February 2, 2016, cover price $26.00 | About this edition: The Millions “Most Anticipated” Book of 2016 “An urgent and deeply moving novel. 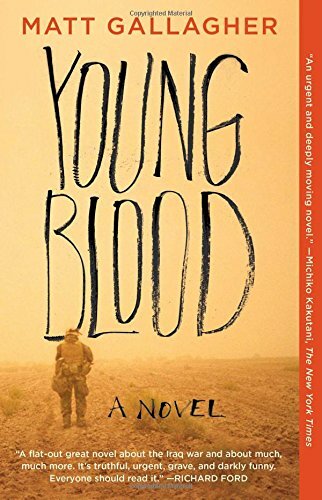 9781501105753 | Reprint edition (Washington Square Pr, September 6, 2016), cover price $16.00 | About this edition: âAn urgent and deeply moving novelâ (Michiko Kakutani, The New York Times) about a young American soldier struggling to find meaning during the final, dark days of the War in Iraq. 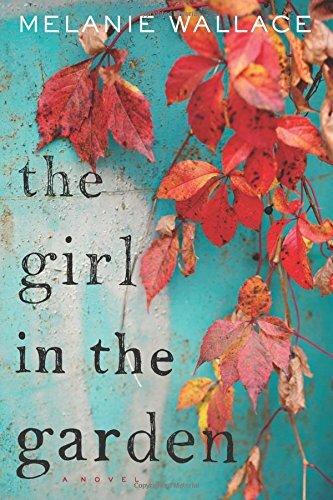 9780399176814 | Putnam Pub Group, December 6, 2016, cover price $29.95 | About this edition: The #1 New York Times–bestselling series is back with the most shocking revelation of all. 9781524708719 | Large print edition (Random House Large Print, December 6, 2016), cover price $30.00 | About this edition: The #1 New York Timesâbestselling series is back with the most shocking revelation of all. 9780147520227 | Unabridged edition (Random House, December 6, 2016), cover price $55.00 | About this edition: The #1 New York Times–bestselling series is back with the most shocking revelation of all.